Game auteur Peter Molyneux believes that 2010 (the year we make contact) will be the biggest year in gaming yet, and it's not just because he's got Project Natal's "Milo" and Fable III in the works. Honest. 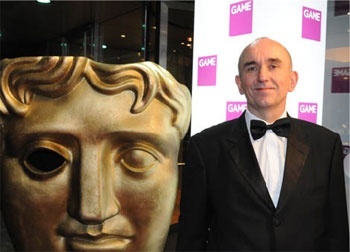 If there's one thing you can expect from Peter Molyneux, it's vision. Say what you will about the man's final products, but no one can say that he doesn't go into making something dreaming that it'll be a world-changer. If there are two things you can expect from Peter Molyneux, it's vision and knowing how to hype the hell out of things. "I'm most looking forward to the end of 2010 as it represents the biggest year ever for both myself and the industry. If we get to the end of the year pulling off half of what's on the cards it will be a landmark year for games." In all fairness to Peter, there is a hell of a lot coming this year (mainly, all the stuff that was delayed from 2009), and it's hard to remember a year with so many massively long-awaited titles coming out in quite some time. Molyneux's absolutely right when he says it's a huge year for himself, with British-boy-simulator "Milo" and the Natal-enabled Fable III. Natal itself could be huge, as could Sony's own motion control device that we're still going to call the Gem until we get a better name for it. There's services like OnLive and Gaikai that offer new possibilities for gaming even if they don't live up to the promises. There's hugely anticipated titles like God of War III, Alan Wake, StarCraft II, Final Fantasy XIII, and countless, countless more. 2010 may not have a CoD Mewtwo that breaks all sales records of anything in the course of human history, but it may just have a lot of smaller things that add up. So, for once I can't really fault Molyneux for saying something like this, even if he is just promoting his own ventures. 2010 may not be the best year of gaming ever ('98 is hard to top, with Ocarina of Time, Half-Life, and StarCraft) but it is pretty jam-packed with gaming goodness.